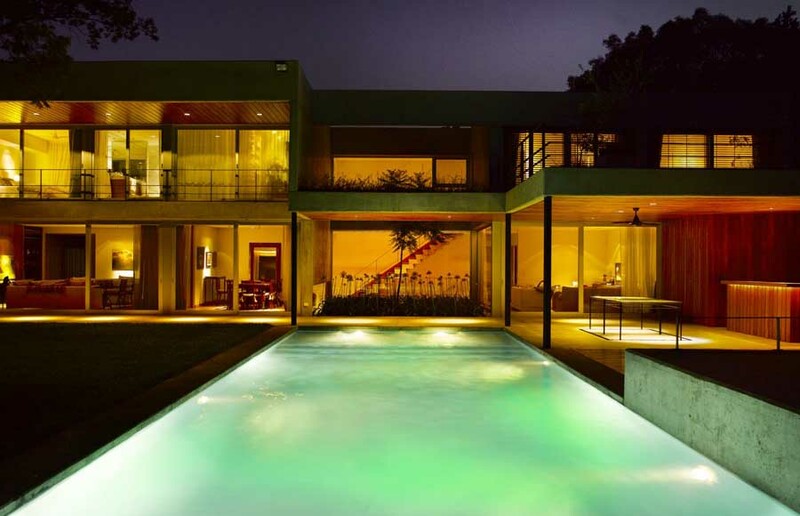 This home, surrounded by a dense foliage of aged trees, sits atop a wide lot, (30 mts), which permitted an expansive floor plan and a distinct separation between bedroom quarters on the upper floor and living and service areas on the ground floor. 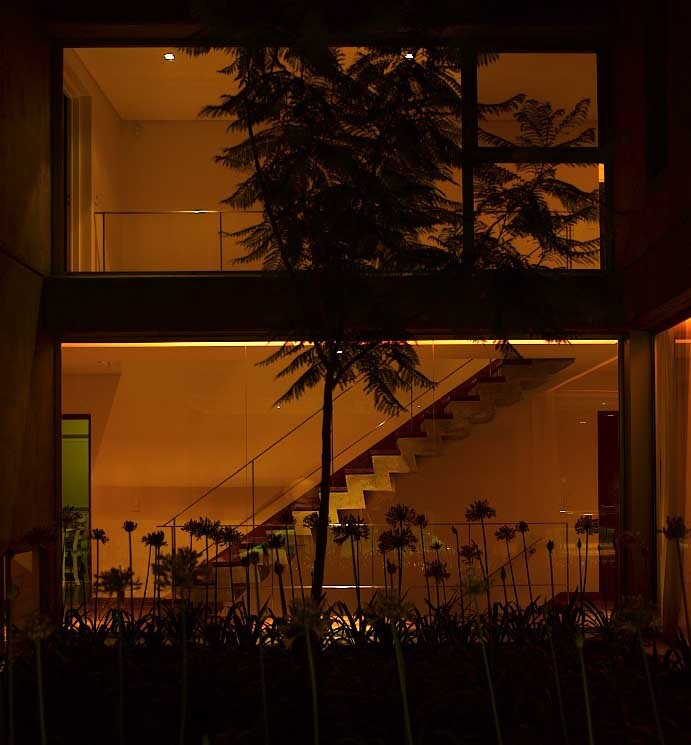 Privacy from the street was accomplished by designing a front façade with few openings, in stark contrast to the back elevation, which is practically all glass. 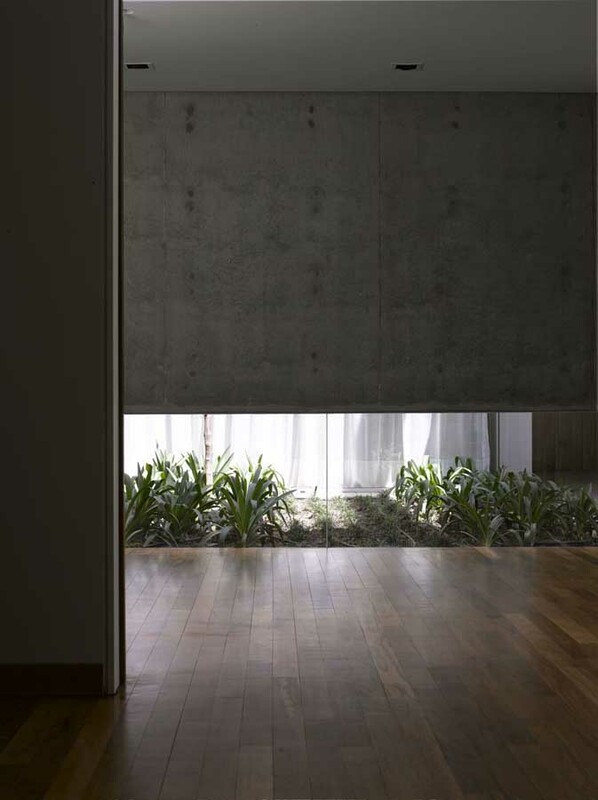 In the rear, the main volume is cutout to form a garden; and this, along with the glass walls, invites nature into the house, blurring the division between outside and inside. 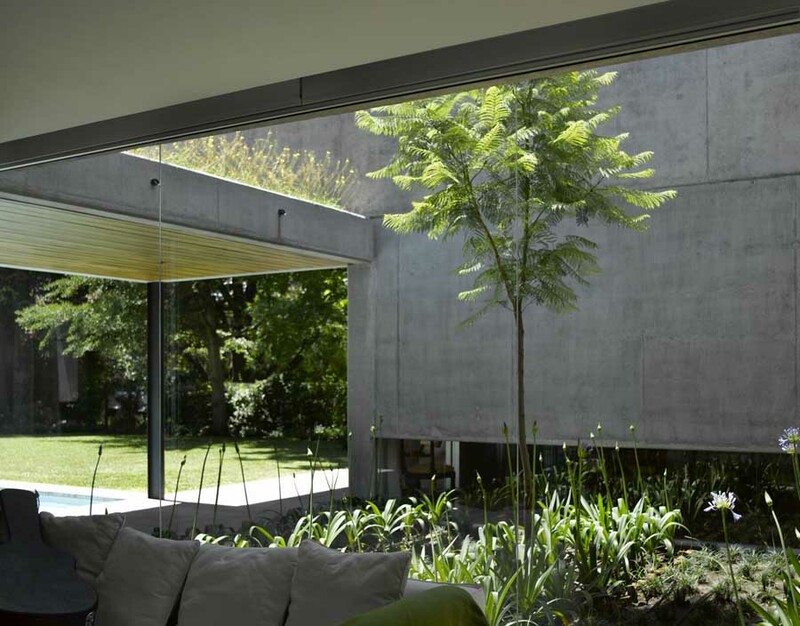 This internal glassed lung, articulates the house’s different areas and all internal circulation emanates from it. 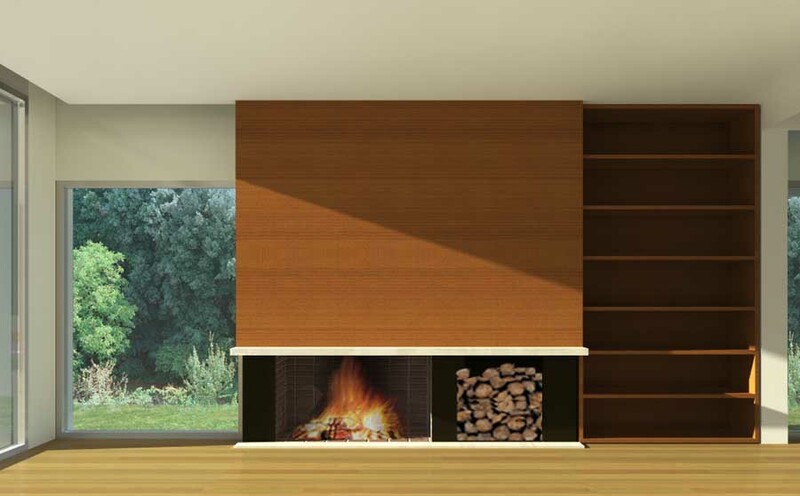 On the ground floor its purpose is to separate the formal living and dining room from the family room. On the upper floor it serves to divide the master suite from the rest of the bedrooms. The family room expands outwards into a large semi –covered space where the barbecue and bar area are located. 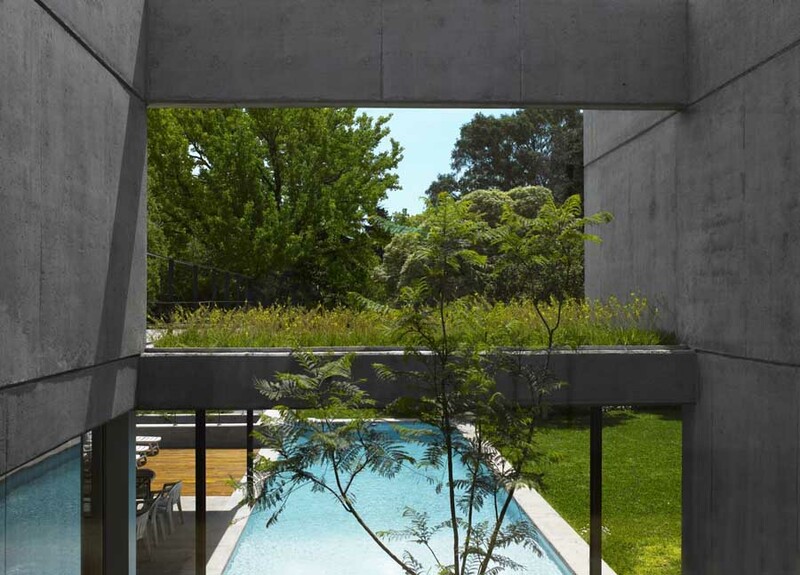 The swimming pool is integrated into this area and becomes an important focal point in the composition of the ground floor. The living and dining rooms also have outside galleries with roofs at a double height, giving the gallery the feeling of being totally outside while at the same time under protection. All of the semi-covered areas are interconnected. An atelier was designed under the terrace of the swimming pool with an exterior staircase to assure its isolation from the main house. This space receives ample light from a large, planted, English style courtyard. 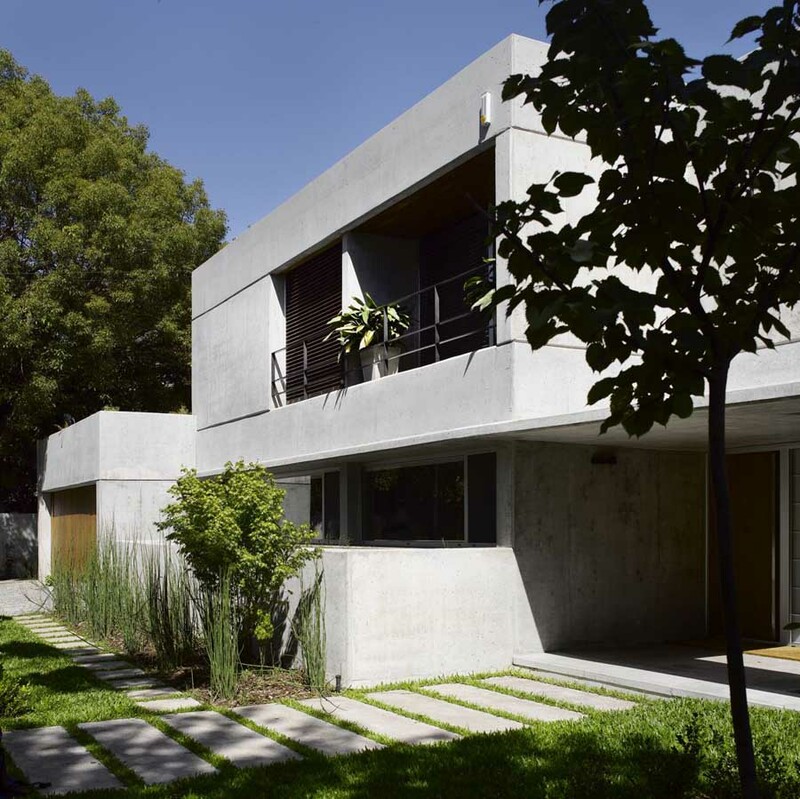 The structure of the building consists of beams, slabs, column, and walls of reinforced concrete. Externally, the walls and pavement are of the same material. Inside, there is a predominant use of painted white plaster on walls and ceilings, which combine with a flooring of incienso wood. The window openings are made of natural anodized aluminum. 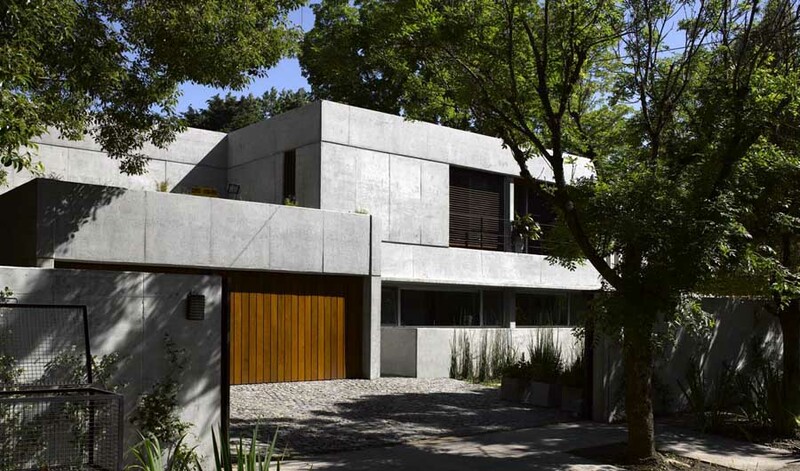 The particular nature of this work is strongly conferred from the use of the exposed concrete. It evokes stone, which emphasizes its qualities of durability and hardness while being crafted in an artistic manner. 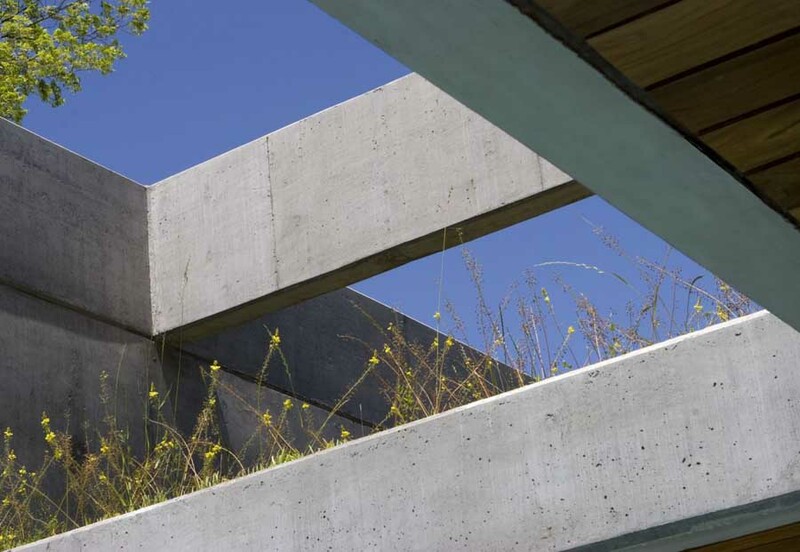 There are several flat roofs, that have been planted because of concerns ranging from the aesthetic, practical to environmental. 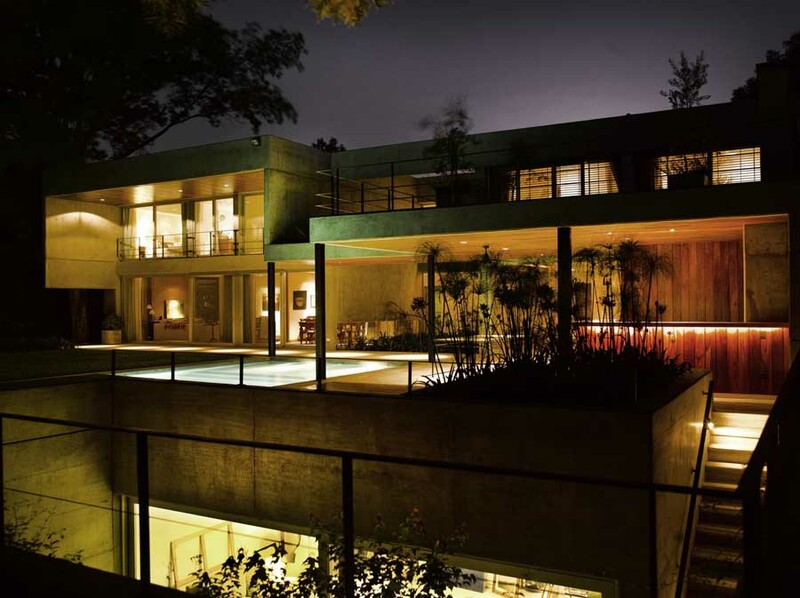 During the creative process, many issues were taken into account, but specially, the proportions of each space, its natural lighting and its relationship with the exterior.